Sekonic is proud to announce their ground breaking L-858D-U Speedmaster Light Meter is now available for purchase. As previewed at last year’s Photokina, the L-858D-U Speedmaster is the combination of Sekonic’s cutting-edge light measurement technology and 60 years of experience in the photographic and filmmaking industries. 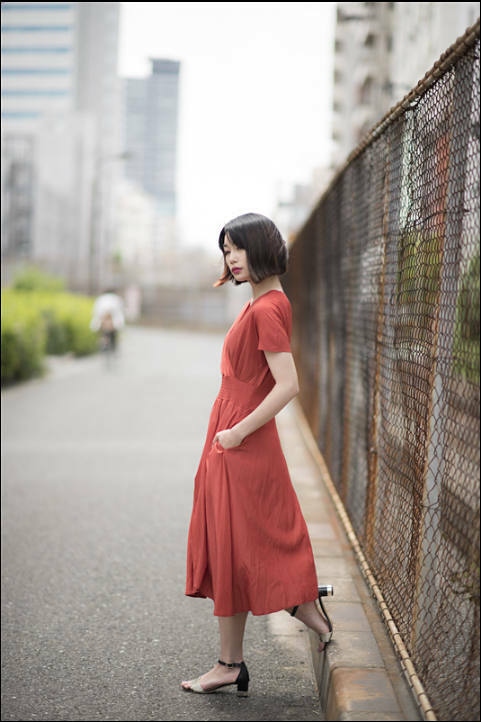 The meter has undergone significant design changes from previous models and has a feature set sure to meet and exceed the demands of today’s image-making professionals. 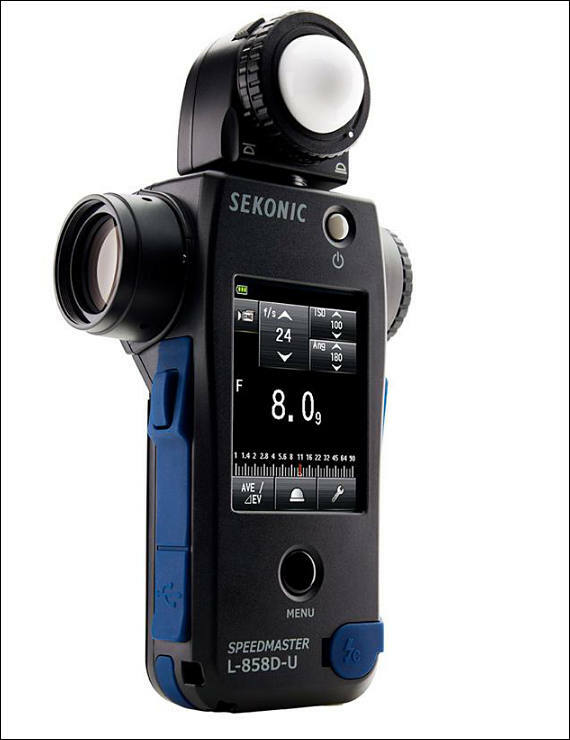 The Sekonic L-858D-U Speedmaster is the first fully featured light meter to offer flash duration measurement from 1/40 to 1/55,500 sec. at t0.1 through t0.9, which can be changed in 0.1 steps. A long-held secret of some of the world’s most talented photographers, the key to freezing action consistently is found in being able to measure flash duration. Photographers are now able to do this easily for the first time, demystifying one of photography’s most challenging techniques. Having pioneered wireless exposure measurement, Sekonic has expanded upon this groundbreaking innovation by creating hot-swappable radio control modules for the L-858D-U Speedmaster. With the PocketWizard module, photographers can easily trigger any PocketWizard wirelessly and control the power of their lights with any Control TL compatible unit. With the combined Elinchrom & Phottix module, Phottix users have Strato II and Ares II triggering capabilities, while Elinchrom users have access to wireless triggering and Skyport’s full range of power-control capabilities. Increased ISO capabilities in today’s cameras have created a need for light meters to increase their ability to measure light in the dimmest of settings. With an additional 3-stops of light sensitivity for incident light, 2-stops of light sensitivity for reflected light (spot), and an ability to capture a reading down to 0.1 lx of illuminance, accurately metering candle-lit scenes or getting the right measurement for long-exposure night photography is now a possibility. Like its name implies, the Sekonic L-858D-U Speedmaster is optimized for photographers looking to exceed the maximum sync speed of their camera. For the first time, a light meter can measure the stroboscopic pulses fired from strobes when they are used for High Speed Sync. Finally, photographers now have an accurate way of measuring their lights when they want to overpower the sun or achieve a very shallow depth of field through using HSS. The L-858D-U Speedmaster is an invaluable tool for image-makers of every kind. A HD Cine Mode for DSLRs and CINE Mode for Motion Picture Cameras gives filmmakers the ability to set the meter to collect the information relevant to the camera being utilized. Users can set frame rates from 1 to 1000 fps and choose to adjust either their shutter speed or change their shutter angle to acquire an accurate reading. Custom frame rates and shutter angles can also be set for an unprecedented amount of versatility. Now, a content creator can accurately measure their light regardless of the camera, or combination of cameras, they are using. The Sekonic L-858D-U Speedmaster is now available for purchase at photographic retailers across the United States. Photographers and filmmakers using high-density ND filters now have a filter factor of up to 12EV. Save up to 30 “favorites,” to instantly know what exposure compensation needs to be considered. I'm keeping my L-358. I bought the last one available in town several years ago. It has a dial and buttons for positive control, not menus. The extended ISO and filter factors would be nice, but I won't dive through a menu if I can possibly avoid it.